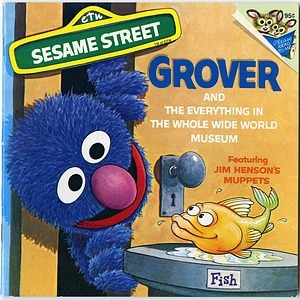 Sesame Street moves to the National Museum of History and Technology, now the National Museum of American History, in the form of Ten Years of Sesame Street, an exhibit on display in the Division of Community Life through Labor Day. The US Congress appropriates $4,000 for preservation of the collections of government exploring and surveying expeditions, and an additional $1,000 for the transfer of the collections to the Smithsonian's US National Museum. Under this arrangement, the Smithsonian will become curator of the national collections, and Congress will continue an annual appropriation for the care and exhibition of the collections. 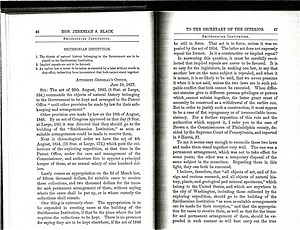 Attorney General J. S. Black rules that, based on the Smithsonian enabling act, 9 Stat. 102, objects of natural history belonging to the government are to be placed in the care of the Smithsonian. 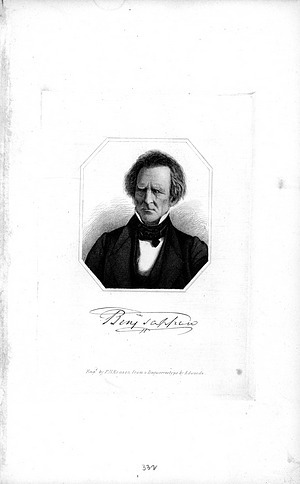 Transfer of the collections is completed in June of 1858. A new Smithsonian seal is approved, in the form of the sun with alternating straight and wavy rays representing heat and light -- "The Sun in His Splendor." It bears the inscription: "Smithsonian Institution, Washington, D.C." The seal was designed at the request of Secretary S. Dillon Ripley to coincide with the bicentennial of James Smithson's birth. At the National Museum of Natural History, Aditi: A Celebration of Life, created in New Delhi in 1978 to mark the International Year of the Child, opens. It is one of the major Smithsonian contributions to the nationwide Festival of India. It will become one of the most popular exhibits ever held in that museum. 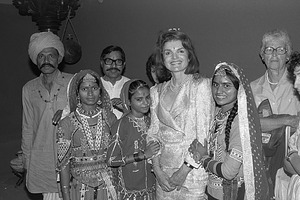 India is also featured at the Festival of American Folklife. The James Smithson bequest, having been awarded to the United States by the English Court of Chancery, is transferred to the U.S. agent Richard Rush. Rush sells the bonds and securities from Smithson's estate, converts them into English gold sovereigns, and, on July 17, departs for the US. At the US Mint in Philadelphia, the gold is reminted into American currency, amounting to $508,318.46. 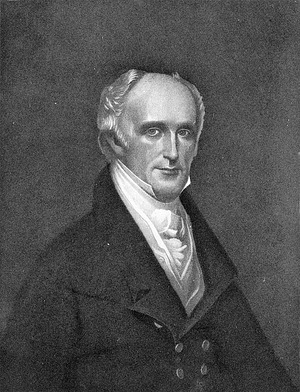 US Congressman Benjamin Tappan of Ohio, from the Joint Library Committee, reports bill S. 188 to establish the Smithsonian Institution. This version provides for a twelve member Board of Managers from different States or Territories to conduct business; construction of a building which will house all objects of natural history received by the government, as well as a library, chemical laboratory, and lecture rooms; appointment of professors to lecture in natural history, chemistry and astronomy, and a professor of agriculture and horticulture to carry out experiments on cultivars new to the country. The bill is passed to a second reading, but does not become law. 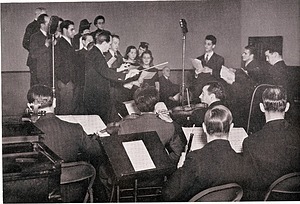 The first The World Is Yours radio program is aired over the National Broadcasting Company network. 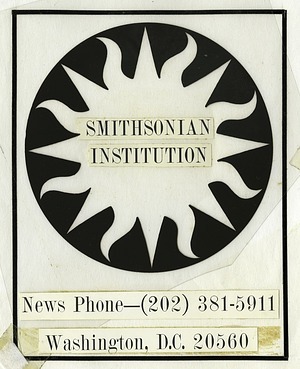 A joint project of the Smithsonian, US Department of the Interior's Office of Education, and the Works Progress Administration, the half-hour programs air once a week on topics ranging from mammals to insects to geology to ethnology to art history to aeronautics, etc. Scripts are prepared by Smithsonian staff and presentations are done by out-of-work actors and musicians. The program is suspended in May of 1942 because of the war effort. 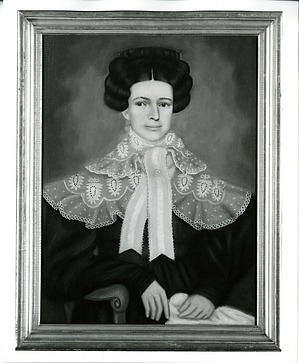 Erastus Salisbury Field, 1805-1900, the first comprehensive exhibition of works by this American folk artist, which was organized by the Springfield Museum of Art in Massachusetts, opens jointly at the National Portrait Gallery and American Art Museum. 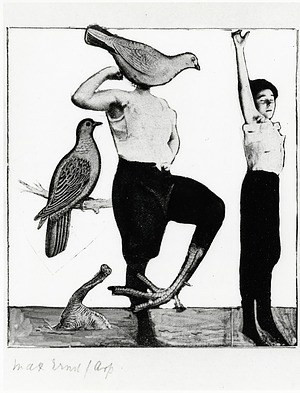 Artistic Collaboration in the Twentieth Century, an exhibit of over one hundred works created by seventy teams of artists between 1913 and 1984, opens at the Hirshhorn Museum and Sculpture Garden. Ground is broken for the new Hospital and Research Building at the National Zoological Park. 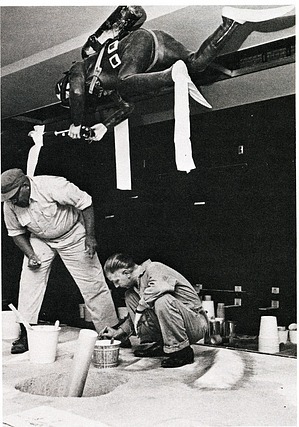 The new state-of-the-art facility, located near the Director's Office on Administration Hill, was completed in December 1969. 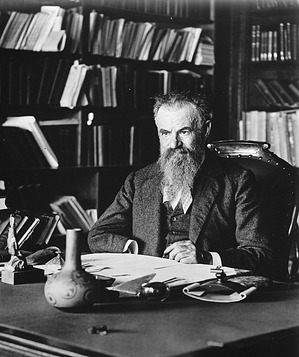 The US Congress authorizes the Secretary of War to provide rations for twenty-five men on an expedition to the Colorado River, under the direction of John Wesley Powell. The three months river trip down the Green and Colorado rivers included the first known passage through the Grand Canyon. Powell provides additional funds from his own salary and small grants from Illinois scientific societies. 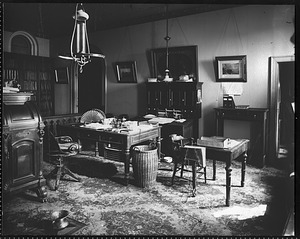 Powell later headed the Bureau of Ethnology at the Smithsonian and transferred many of the objects he collected on expeditions to the US National Museum. A system of electric bells and telephones is established throughout the Smithsonian Institution Building or "Castle." The system connects several office and work rooms in the building to provide instant communication between the rooms so as not to lose the time required to go from one room to another. 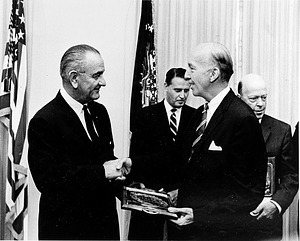 Secretary S. Dillon Ripley and staffers Richard S. Minnich, SI safety officer, James C. Bradley, Assistant Secretary, Frank A. Taylor, director of the U.S. National Museum, Theodore H. Reed, director of the National Zoo, and Andrew Michaels, director of Facilities Services, visited the White House to receive the President's 1966 Safety Award. 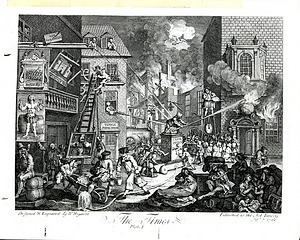 In the Minds and Hearts of the People- Prologue to the American Revolution 1760-1774, which is the first of three major Bicentennial of the American Revolution exhibitions to be produced by the National Portrait Gallery, opens, and is on display until November 17. An authentic tea chest thrown overboard during the Boston Tea Party was discovered in the possession of a citizen of Texas only five days prior to the opening of the exhibit. 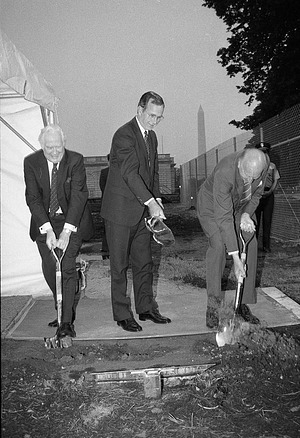 Ground is broken by Secretary Samuel P. Langley for the new US National Museum building, now known as the National Museum of Natural History, at Tenth Street, N.W., on the south side of what is now Constitution Avenue. 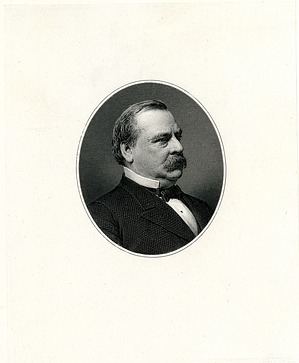 The President of the United States, Grover Cleveland, directs the application of the Civil Service rules from July 1, 1896, to all persons in the bureaus under the Smithsonian Institution whose salaries are paid out of government appropriations. 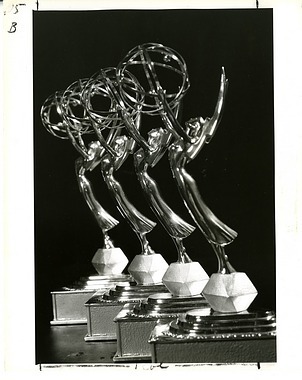 Four Emmys are awarded to the film Celebrating a Century, produced by the Smithsonian Motion Picture Unit, Office of Exhibits, by the Washington Chapter, National Academy of Television Arts and Sciences. The film is part of the Institution's celebration of the Bicentennial of the American Revolution. 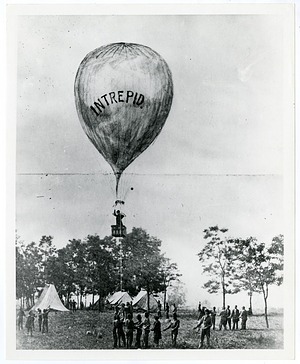 Encouraged by Smithsonian Secretary Joseph Henry, balloonist Thaddeus S. C. Lowe makes a number of ascents from the future site of the National Air and Space Museum, and from the Smithsonian and White House grounds, to demonstrate usefulness of balloons for military reconnaissance, by using the telegraph to communicate between aerial balloons and the ground. 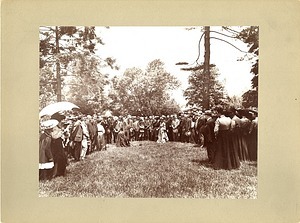 Henry witnesses these ascents and helps Lowe become appointed to organize a balloon corps within the Union Army. 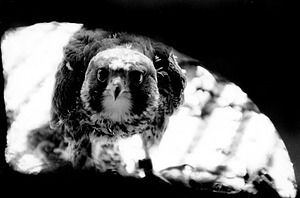 Six young peregrine falcons are placed in a small hutch on the tower of the Smithsonian Institution Building or "Castle," by the Peregrine Fund at Cornell University in an attempt to reestablish a wild breeding population of these falcons on the east coast. The new US National Museum Building (now the National Museum of Natural History) is formally completed. The building houses anthropological, art, historical, and natural history collections. Many of the historical exhibits remain in the Arts and Industries Building until 1963. Ground is broken for the new Center for African, Near Eastern, and Asian Cultures, also known as the Quadrangle, which will house the Arthur M. Sackler Gallery, the National Museum of African Art, and the International Center. The National Zoological Park's Conservation and Research Center, now the Conservation Biology Institute, is established on 3,100 acres at Front Royal, Virginia, to encourage development of all aspects of animal sciences. It trains wildlife biologists from developing countries, as well as breeds, houses, and conducts research on a wide range of endangered species. 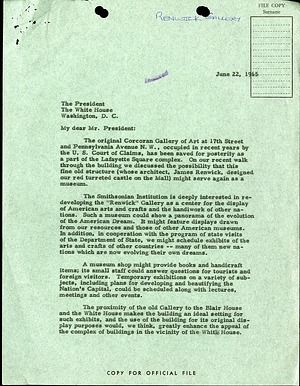 President Lyndon Johnson approves the transfer of the Old Court of Claims Building (the original Corcoran Gallery of Art) by the General Services Administration to the Smithsonian Institution, for "a gallery of arts, crafts and design." The building will be used to house a new museum and art gallery, the Renwick Gallery, part of the Smithsonian American Art Museum. 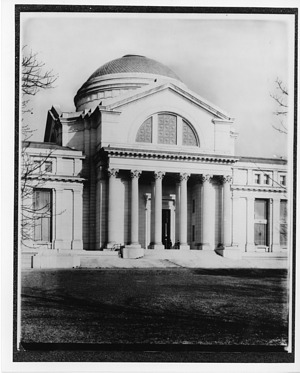 The building was designed by architect James Renwick, who also designed the Smithsonian Institution Building or "Castle." 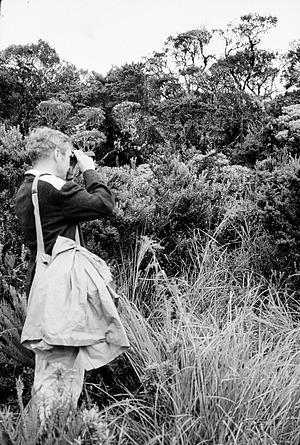 Martin H. Moynihan, director of the Smithsonian Tropical Research Institute in Panama from 1957 to 1973, becomes the eighth recipient of the Joseph Henry Medal. The award is accepted for Dr. Moynihan by David Challinor, Assistant Secretary for Science. The Joseph Henry Medal is given by the Smithsonian Board of Regents to individuals in recognition of their distinguished service, achievements, or contributions to the prestige and growth of the Smithsonian Institution. The first class of the Smithsonian Canine (or K-9) Unit graduates at ceremonies held at the canine training grounds of Andrews Air Force Base. 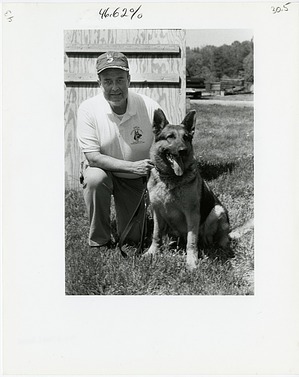 This first group of security dogs consists of six dogs of German Shepherd descent. The Underwater Exploration section of the Hall of Armed Forces History opens in the Museum of History and Technology, now the National Museum of American History. The exhibition explores the study of historic underwater sites and trade routes in the Western Hemisphere, Spanish-American treasure, the history of diving, modern methods of diving and of locating wrecks, and surveying, measuring, and recovery techniques. Display objects come from sites dating as early as 1595. The use of diving techniques in various disciplines and new deep-diving research are presented in photographs and models. James Smithson, the Smithsonian's founding donor, dies in Genoa, Italy. 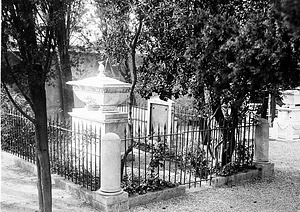 He is buried in the Protestant cemetery, about a mile west of Genoa, on a high elevation overlooking the town of Sampierdarena. His will provides for the creation of an institution for "the increase and diffusion of knowledge." 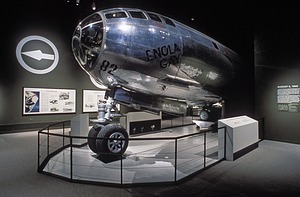 The Enola Gay exhibition opens at the National Air and Space Museum, after several years of controversy about the script for the display of the B-29 that dropped the atomic bomb on Hiroshima. 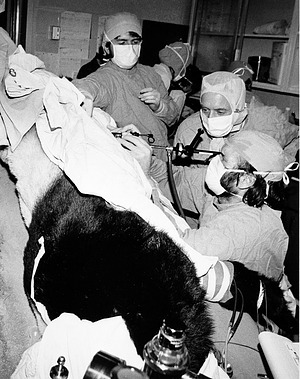 Smokey Bear, a four-month-old orphaned black cub rescued from a forest fire in Lincoln National Forest in New Mexico, arrives at the National Zoological Park. The National Park Service erects an exhibit next to Smokey's cage, and the bear becomes a famous symbol of fire prevention. 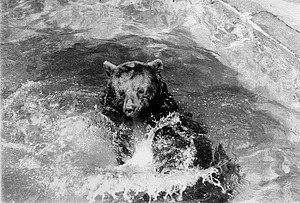 Smokey dies in 1976 and is replaced by Smokey Bear II. Operation Moonwatch, the worldwide volunteer satellite tracking network run by the Smithsonian Astrophysical Observatory, ends after 18 years. 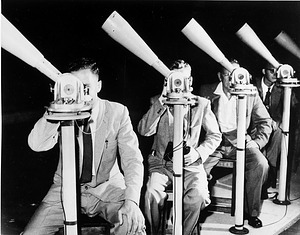 These volunteers played a major role in tracking artificial satellites after the launch of the Russian satellite Sputnik in 1957. The Volunteer Flight Officers Network is also disbanded.